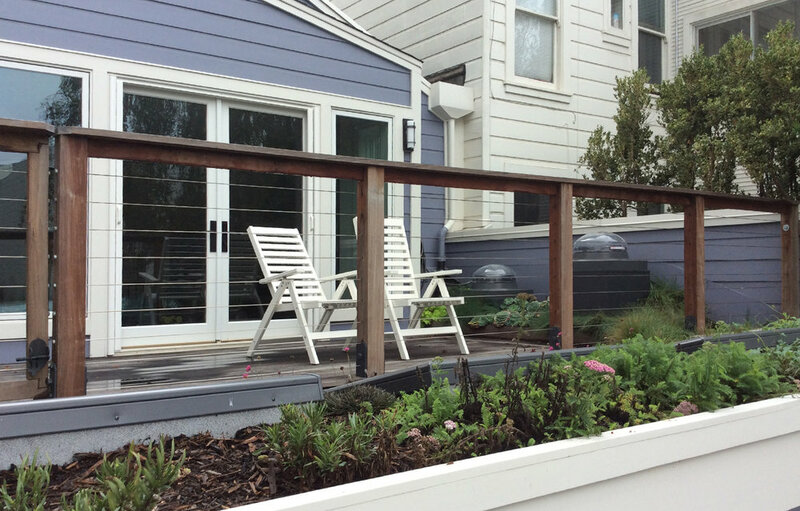 During the construction of the addition to this centuries old San Francisco home, our firm was brought in to create a design for the upper and lower outdoor decks, and surrounding garden space. 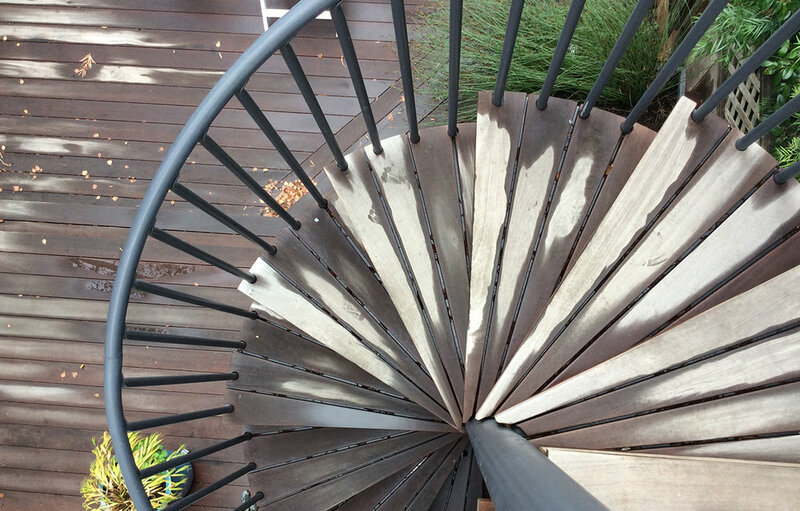 The spiral staircase was the link that allowed for maximum deck space below. The bottom deck was brought lower by taking two broad steps down from the house thus eliminating the need for railing. This was very important to the owners’ desire to feel connected to the surrounding garden. A fire pit, placed off of center, created the focal point for the seating area. 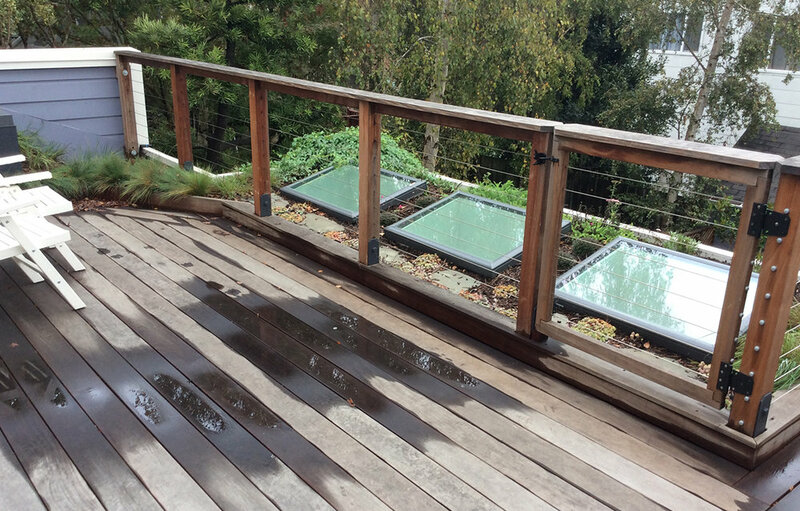 A cobalt blue water feature was placed close to the house so it could be enjoyed both from within the house and while sitting on the deck. 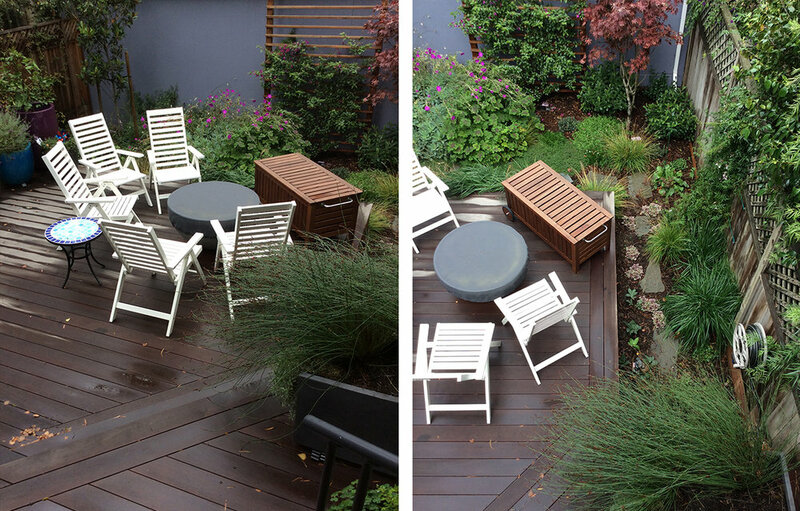 The many vibrant colored pots placed along the deck edges were planted with a small Meyer Lemon tree, herbs for cooking, and mint for tea, as well as some colorful ornamental grasses and perennials. 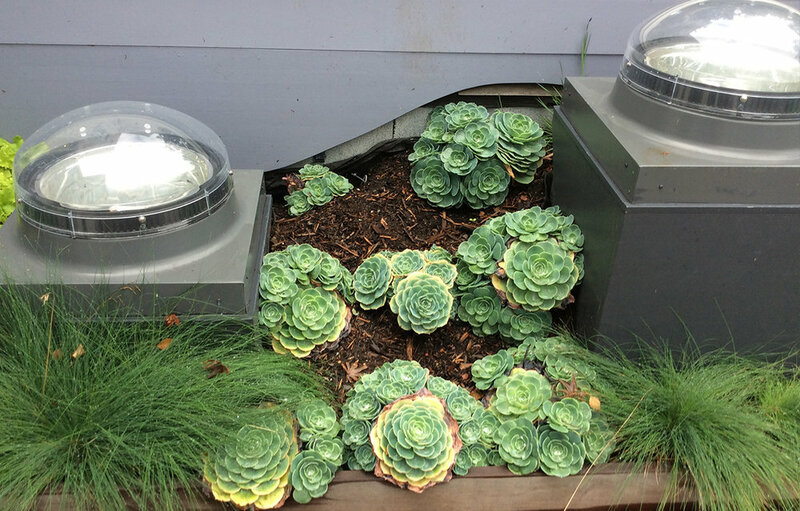 On the upper rooftop deck, we installed numerous skylights to allow light to the lower addition, and added appropriate native plants and succulents. 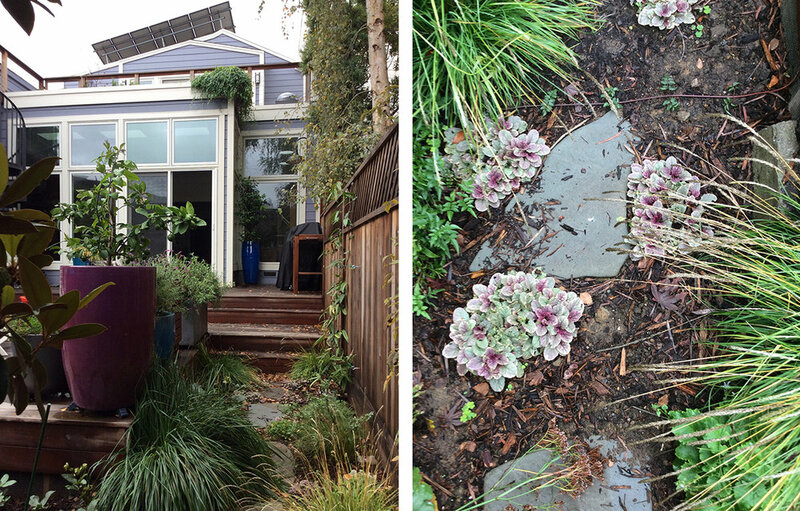 In the front of the house, we cut in two large street planters and added matching Olive trees, under planted with colorful Mexican Salvia and orange New Zealand Wind Grass.